A group of middle school students kept glancing back at the Rutgers doctoral student Kate Douthat and refining the drawing they were working on. 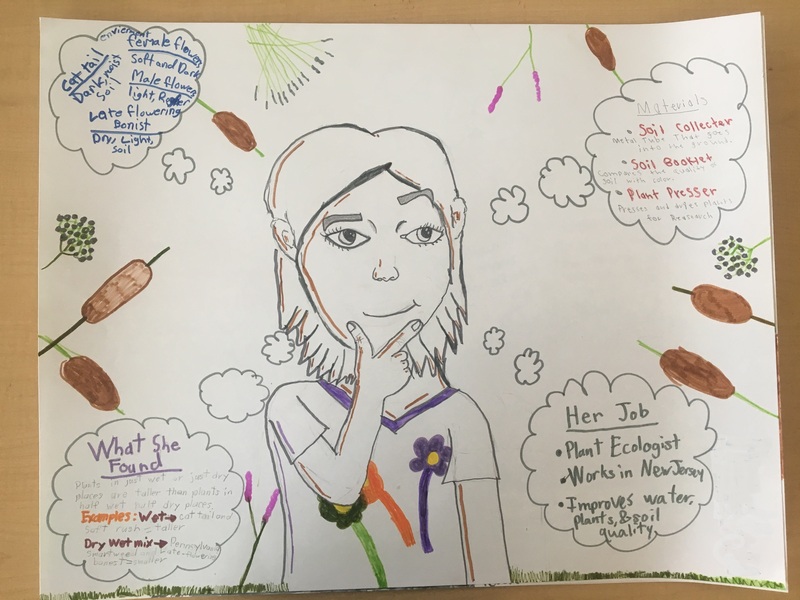 A few students focused on creating a pencil-and-marker portrait of her while others filled in the rest of the poster with fun-fact details about her research and background. Kate had just been interviewed by this group of students, and now they were trying to tell the story of her research on a poster as a part of an activity during EcoChallenge—Phipps’ annual event for local schools as we kick off the Fairchild Challenge for the academic year. For Kate, though, this day was more than just the EcoChallenge, an event that included 100+ students from local schools for the morning. 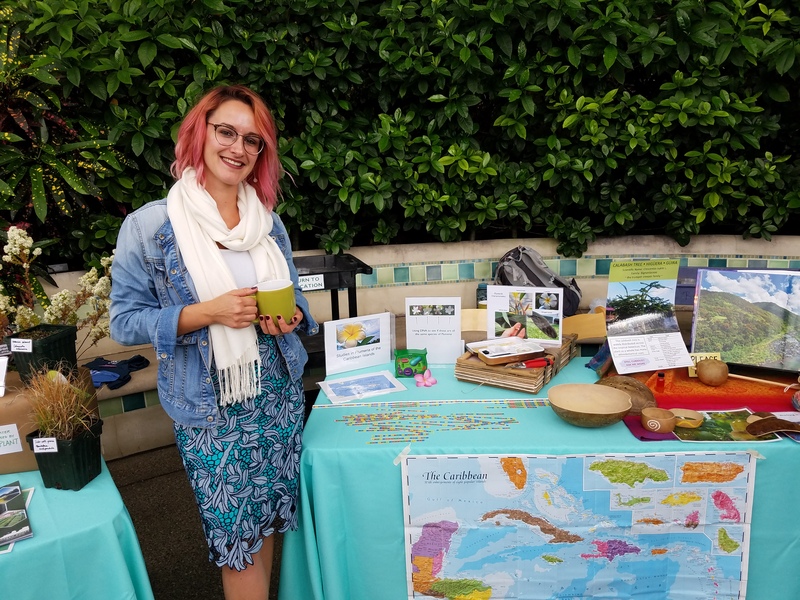 For Kate, one of Phipps’ six Botany in Action fellows, it was Science Engagement Week, and she and the other fellows were at the Conservatory for four jam-packed days of science communication training and outreach experience. That morning of sharing science with students was just the start! The Botany in Action program is a unique research grant that requires not only passion for science, but a heart for science outreach as well. The recipients of the fellowship are all outstanding doctoral students in varying disciplines within the plant sciences, and as a part of this fellowship, the fellows all are brought to Phipps every September for four days of science communication training and public outreach opportunities—collectively dubbed Science Engagement Week. 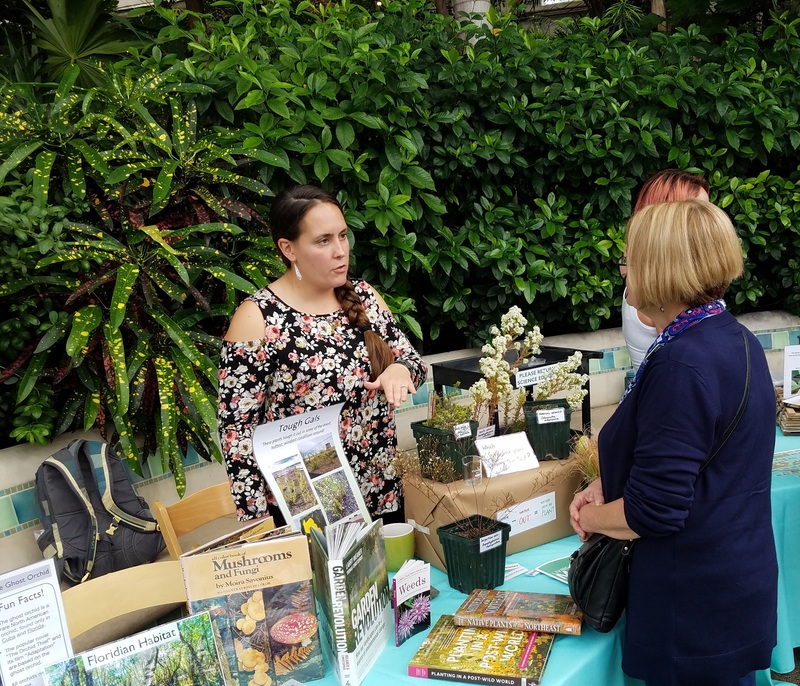 Originally a program through the Garden Club of Allegheny County (GCAC—and they still support the program today), the Botany in Action fellowship has always been just as focused on supporting science outreach as it is on the science itself. The program operates under the idea that research is not complete until it is shared with everyone, from the academic community to the neighboring community and beyond. 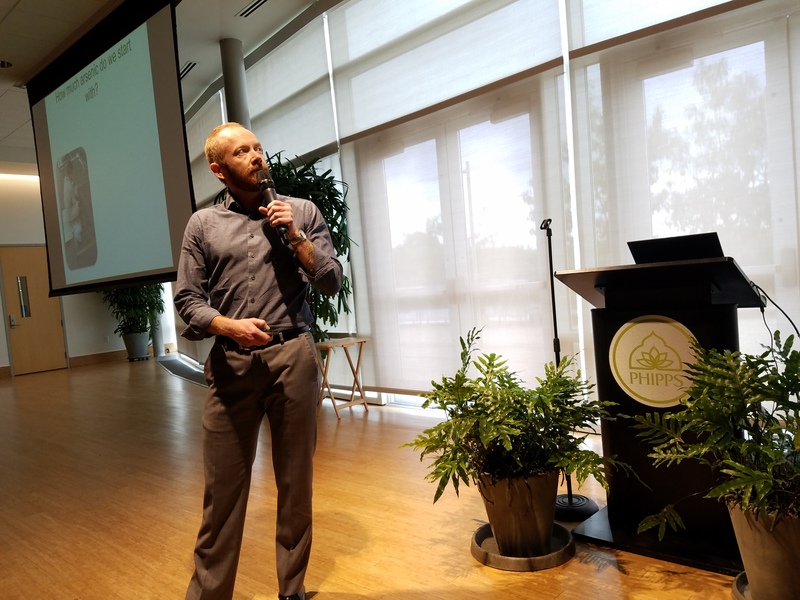 This year’s Science Engagement Week, which just wrapped up this past Sunday, included a number of training sessions to help the fellows grow as science communicators. 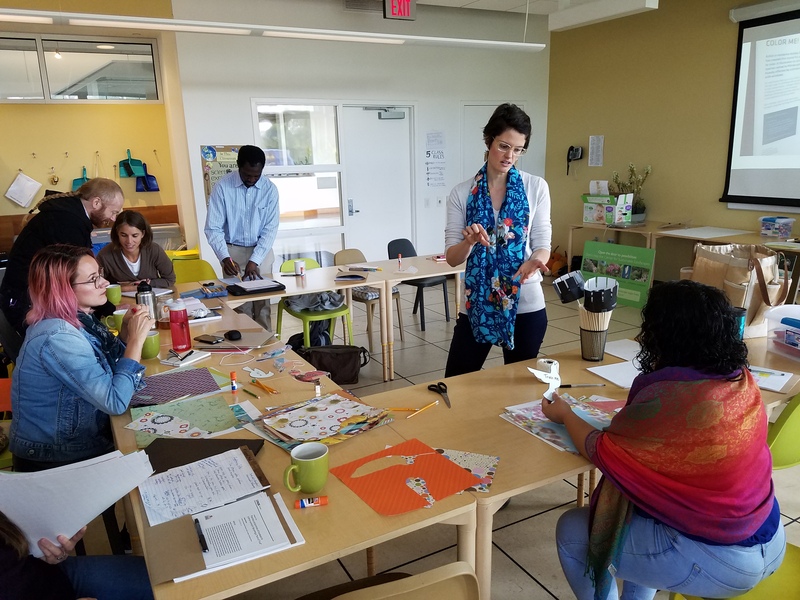 The group engaged in activities to help them become more aware of jargon use and how to “know your audience”—both essential skills for science communicators. The six fellows also met with various Phipps staff about using social media to share their work and how to create informative and visually appealing signage to accompany tabling displays. 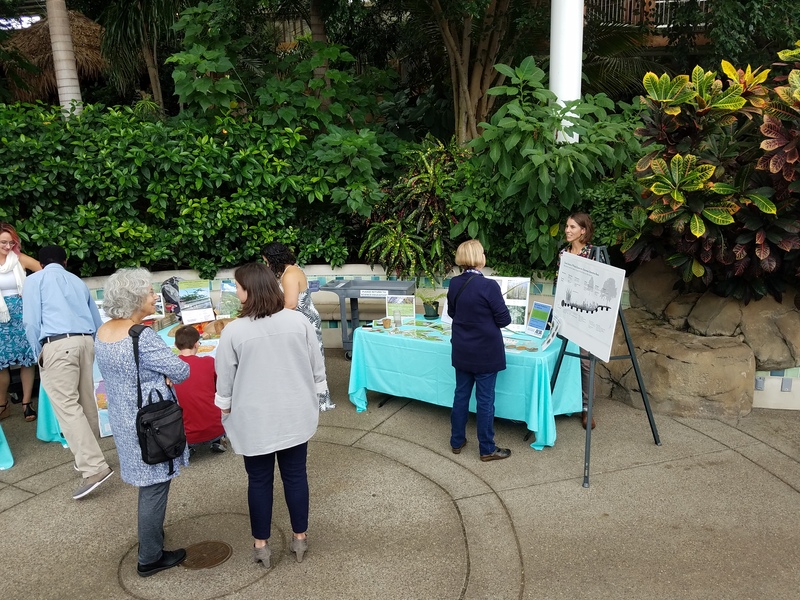 They also met local artist and current Phipps artist-in-residence Ashley Cecil to explore ideas about science outreach through art, and they met with Science correspondent Ann Gibbons to learn tips and tricks about science writing. The fellows learning about creative ways to share science with artist Ashley Cecil. However, training in science engagement would not be complete if it was purely a classroom experience! That is why a huge component of the fellows’ visit is a collection of opportunities for outreach while they are in town. The EcoChallenge moment I mentioned came from the very first morning that the fellows arrived at Phipps; they were each interviewed multiple times by different groups of students throughout the morning of the EcoChallenge! 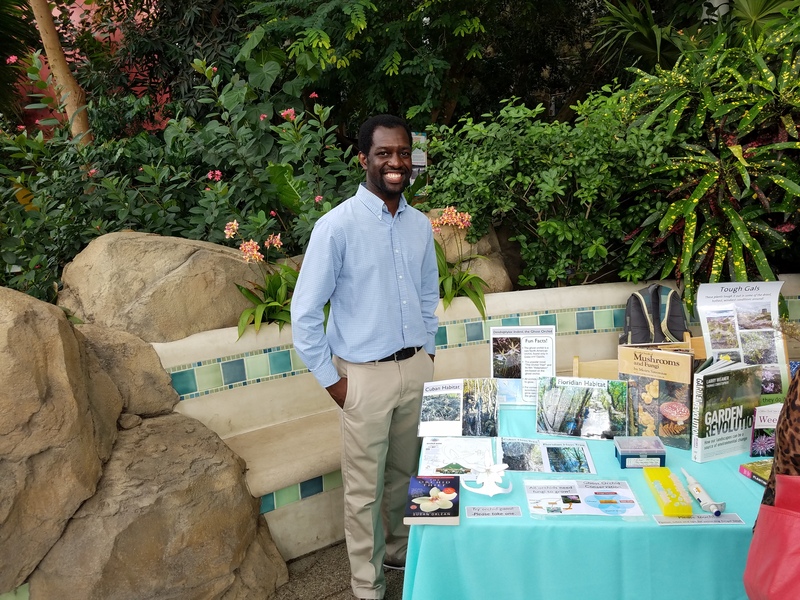 The fellows also each gave five minute “lightning” talks at our Peek Behind the Petals members event, and they followed up formal presentations with tabling in the Tropical Forest during our Tropical Forest Cuba Festival. 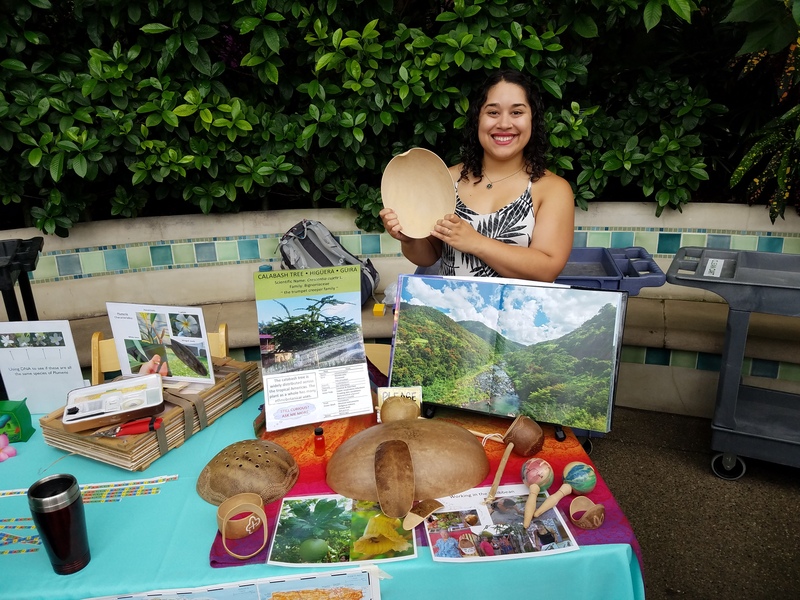 Fellows Lynnaun Johnson, left, and Betsabe Castro Escobar, right, tabling at the Tropical Forest Cuba Festival. Overall, it was quite a full schedule for the fellows’ visit, but it’s always a fantastic learning experience, not only for the fellows, but for those of us staff who are lucky enough to work with them. If you didn’t get a chance to meet the fellows during their visit, be sure to check out the page on the website and explore their blogs! It’s a great way to learn more about cutting edge research and discover a little more of the world around us. If you are a PhD student in a plant-related field and you’re intrigued by the sound of the fellowship, keep your eye on our website this fall for the next call for proposals, or contact Dr. Maria Wheeler-Dubas to be notified when the CFP is live. Fellows Toby Liss, left, and Sarick Matzen, right, participate in Science Engagement Week activities. Nichole Tiernan, left, tabling, and some of the conversations at Science Engagement Week!